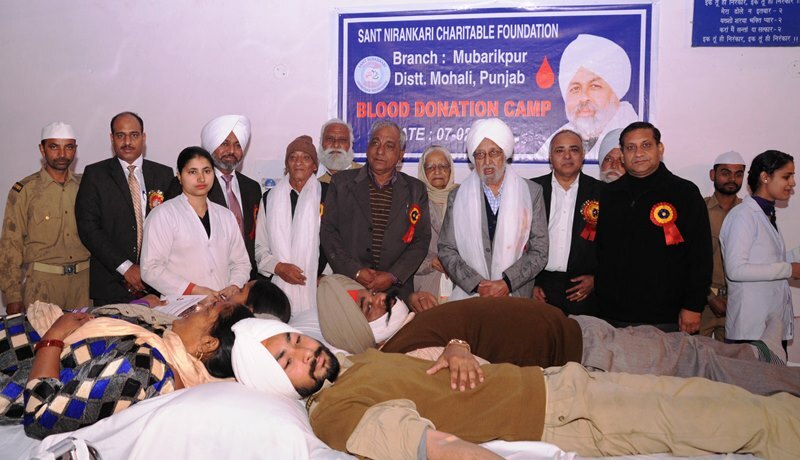 On February 7, 2016, the Sant Nirankari Charitable Foundation organized a blood donation camp in Mubarakpur in Punjab where 246 units of blood were donated by devotees of the Sant Nirankari Mission, including 48 women. The camp was inaugurated by Shri Kuljit Singh Randhawa, Chairman, Punjab State Panchayat Parishad while Dr. B. S. Cheema Zonal Incharge Chandigarh was also present. In spite of cold weather and showers of rain devotees came from Dera Basi, Bhankarpur, Lalru, Zirakpur, Dappar and nearby areas with great enthusiasm. Speaking on the occasion, Shri Randhawa appreciated the spirit of devotion and dedication of the donors and said the camp will be a great source of inspiration for the people of the area to come forward for this noble cause in service of humanity. Dr. Cheema said that this enthusiasm among devotees could be seen because they were inspired by Nirankari Baba Hardev Singh Ji Maharaj who says that ‘blood should flow in veins, not in drains’. 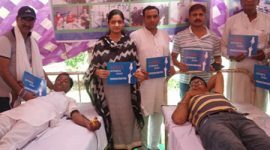 He said that since 1986, the Mission has been holding blood donation camps across the country as a regular activity and donated more than 7 lakh units of blood so far. 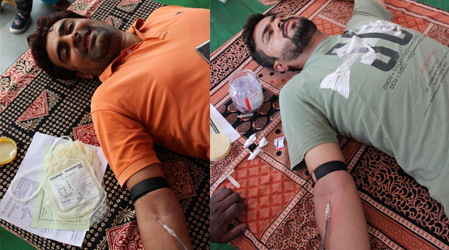 He said, since April 2015, this was the 17th blood donation camp organized in Chandigarh Zone. He also gave a detailed account of other activities of community service undertaken by the Mission from time to time. The camp was visited by several dignitaries including Shri Krishan Pal Sharma, Political Adviser to Chief Parliamentary Secretary Shri N.K. Sharma, well-known social worker Shri Deepinder Singh Dhillon, Smt. 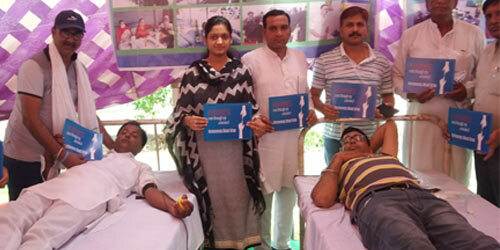 Manpreet Kaur Dolly, Shri Padam Singh Rana Sarpanch, Shri Chand Rana and others. The blood collecting teams came from Civil Hospital, Phase VI, Mohali and Government Multi-speciality Hospital, Sector 16, Chandigarh.